This is the feedback thread for the Gransnetters who were asked to put McCarthy & Stone retirement developments to the test. Read on to find out how they go on! If you weren’t a tester but have questions of those who were, please ask them on this thread! 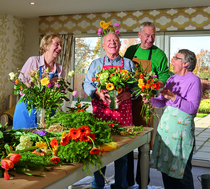 “We were excited to have Gransnetters come and experience our ‘Lifestyle’ offer, which effectively lets you ‘try before you buy’ one of our outstanding one and two bedroom apartments, which all enjoy a very central location in a number of prime spots around the country; and where we specialise in providing our homeowners with the independence and security to enjoy their retirement to the fullest”. All testers were open to the idea of a McCarthy & Stone property and visited the development of their choice (with a friend/ family member in some instances). - Why did you want to take part in this project? What’s your current living arrangement? How old are you? - What was your first impression of the development? - What did you think of the apartment, development and communal facilities? - How did you find the location? - Did you feel ‘at home’ in the apartment? What made you feel at home? - Do you think the apartment would be easy to live in/suitable for your needs (either now or in the future)? - How satisfied were you with the overall experience? - Following your stay, would you consider moving to the development now or in the future? - If you would consider a move in the future, what are the barriers, or what are your current concerns stopping you from making that decision? - Would you consider other McCarthy & Stone developments? If so where? - Following your stay, how likely are you to recommend that development to a friend? Every selected Gransnet tester who shares their feedback from their visit will receive a £50 Marks and Spencer voucher, and will also be entered into a prize draw where one tester could win an additional £200 Marks and Spencer voucher. My husband and I are in our 60s and have just sold our house. We are living in a rented flat while we decide what to do next. We are considering several options, including buying a flat in a block designed with retired people in mind, so when I saw the invitation to "road test" a McCarthy & Stone development, I thought it would be a good idea. McC&S offer 3 levels of support in their developments, and we wanted the most hands-off arrangement (known as "Lifestyle"). On the list of developments to visit, only 2 were described this way - one in Yorkshire and one in Hampshire, so we chose the Hampshire one as it was nearer. The block is about 18 months old and within a few minutes walk of the village, bus stop, pub etc. It looked new and well-cared for, with gardens and ample parking. The inside of the building was warm and welcoming on such a freezing cold day, and furnished to a high standard. The communal areas, all spacious, cosy and inviting, were lovely, especially the central atrium area which was furnished with sofas, tables and TV. The flat itself was furnished to "show home" standards and was stunning. The most impressive thing was the sense of space - nothing felt pokey. The kitchen was small (but adequate) and equipped with a small dishwasher as well as the usual oven, hob, microwave etc. The living room and bedrooms were all of generous size and there were two bathrooms (or shower rooms to be more accurate - none of the flats have baths). Both bedrooms had ample storage - a built in wardrobe in bedroom 2 and a large walk-in closet for the main bedroom. There was also a room to house a washer-dryer and laundry parapheralia. The heating is underfloor and there was a separate stylish wall-mounted fire (not needed on our visit even though the weather outside was very cold). The flat was lovely and warm and one of the residents told us that his bills were less than £40 a month. I believe the building has a high energy-efficiency rating so I can believe it. The person who greeted us was Lisa and she also mentioned Malcolm (not on duty while we were there). Lisa did everything possible to make our stay enjoyable, including introducing us to a number of residents. We really liked Lisa because she was not at all pushy and allowed the apartment to speak for itself. She knew we would be impressed and we were. The location was around 2 hours from where we currently live so it was a bit of journey, but not particularly difficult and the place itself was easy to find. Bishops Waltham is a very historic village and the local architecture reflects that. There seemed to be plenty of buses (to Winchester, Southampton, as well as nearer towns and villages). We did feel at home in the flat, mainly because it was warm and cosy and had appropriately-sized rooms. We could picture ourselves living there. We couldn't hear any noise from other residents or from outside. The overall experience was very positive. We went out to explore the village on the Friday evening and had a meal in one local pub and visited the other two for a drink. We had quite a chat with the landlord of one and he introduced us to a few locals who told us more about the village. Everyone we met was really friendly. We were really impressed with Walmsley Place and with Bishops Waltham, but unfortunately the location is all wrong for us as it's not near enough to family and friends and also we both still need to go to London regularly and it wouldn't be that easy from there. We knew this before we visited, but our visit was really to explore the type of development rather than Bishops Waltham itself. When we spoke to the residents, several of them had done a lot of research (in one case, 2 years' worth of research!) and they assured us that Walmsley Place was "the best". Some residents cited the apartments and the social side, while others cited external factors like the larger-than-usual outside space and proximity to the village. What came over loud and clear was that none of the people we met had any regrets about moving there. We would definitely consider this type of development for our next move, so we will keep looking. Ideally we would like to live in London, but there don't seem to be any McC&S developments in the capital. We have no qualms in recommending Walmsley Place to anyone considering downsizing or looking for their final home. McCarthy & Stone. Visit to Mulberry Court, Blaby, Leicester. Being in my 76th year, it is time to consider my future options. As I had never visited accommodation built with the needs of those of my generation in mind, I thought this over-night stay would provide me with an opportunity to experience it. My husband was invited to join me but he chose to stay at home looking after our 2 dogs. I told my friends of what I was doing and this led to many quips suggesting that “they may not let you out again” and “Remember to say it is Theresa May who is the Prime Minister when asked.” Like me, they had no idea of what Retirement Living meant. My home is in Derbyshire and it was an hour’s journey down the M1 motorway to Blaby in Leicester. Mulberry Court was easy to find as it is on the edge of the village and a 5minutes walk took me to the local amenities and shops. Residents told me that there is a good local bus service into Leicester to visit larger stores. Upon driving up to Mulberry House, the security gates opened and beyond I could see the newly built apartments on 3 floors. The first residents moved in last August and I was able to speak to many of them during my overnight stay. I was shown into both a 1-bedroom apartment and a 2 bedrooms apartment. When these are purchased, they are carpeted or have tiled flooring as appropriate. There is a fully fitted shower room and all of the rooms has underfloor heating controlled by a personal thermostat. There is a laundry facility built in washer / dryer and in the kitchen, a built-in refrigerator and cooker. Some of the apartments even had walk in wardrobes – real luxury and I felt that nothing had been spared in order to ensure that residents would quickly adapt to their new living environment. Little touches like having a letter box for the postman to visit each apartment ensured a homely feel that is so necessary when moving home at our time of life. Larger adaptations ensured safety as in each apartment there is a Tunstall facility to call for 24hrs. assistance. I asked a resident if she meant medical assistance and she replied that it can be any kind of assistance. She had reported a problem with the lift on a Sunday and within an hour, a workman had arrived to put it right. There are 40 apartments in total (25 1bedroom apartments & 15 with 2 bedrooms) it is not surprising to me that since opening only 8 months ago, these have sod so quickly. It is such a n ideal style of living for ‘active’ people over 60 years of age. Most of the residents with whom I spoke had down-sized and none of them regretted their move. In addition to the apartments, there is a spacious community room in which to meet neighbours. It was here that I was able to speak to many of them. What struck me most of all was the friendships that had developed and shared interests had begun to evolve. There were books and games to share, a small kitchen in which to make coffee or share a meal. Not all residents wanted to share in with communal activities and some preferred to stay in their own homes. Some of the men with whom I spoke had discovered shared interests such as football, cricket or rugby. Whilst there, I could hear them sharing banter about who supported which team. Some groups were talking about outings and holding film nights. Their enthusiasm for their new living environment was very apparent and even when I asked for the downsides, these were few or very minor. For example, there is a limited car parking facility; too many trees in the landscaped garden causing pigeons to make deposits on cars; down to “I had a cracked tile in my kitchen but it was later repaired” Often was repeated the need to factor in service charges when deciding to make the move into this style of living. Whilst I was there Tammy, the House Manager held a coffee morning at which she encouraged residents to share ideas about how to further develop their newly formed community. It was apparent that Tammy’s services were very much appreciated by everyone. I was fortunate to be staying on the day she had arranged an M&S buffet lunch followed by a flower arranging demonstration. Each person attending created their own beautiful Spring floral display to take back to their room. My final thoughts… I had no idea of what to expect when I arrived and although my husband and I are not quite ready for downsizing, Retirement Living is well worth considering when the time comes. I felt it was best summed up by a lady who had purchased a 2-bedroom apartment who said, “Everyone here is on a new adventure.” Judging by the welcome I received, an adventure well worth considering. McCarthy & Stone owns many establishments of this kind around the country and if I have raised your interest, I would suggest that you send for one of their brochures. It will tell you much more than I have done.. I have had my house totally refurbished recently- everything being done "for the last time". More to the point my house would be easier to sell if I found somewhere suitable to where I wanted to move. I need some retirement Plus facilities now such as no shower over a bath but I do not need assistance with washing and dressing yet. I wanted to try it to get a "feel" of it for the future. I live in a three bedroom compact house but the kitchen is large- that is what I would miss most if I sold this house. Randolph House was only opened in September last year and there are teething problems which I will mention later. I am fortunate living in London- this property was 2 miles down the road so for me it was ideal especially as I was interested in Retirement Plus facilities. I liked the appearance of the building and although it was fairly close to the road, it was light residential traffic. It was a Plus development so there were no steps to enter the building. Ideal for a wheelchair user and myself because I have problems accessing stairs, inside and out. I was met by Shelley from Sales, very pleasant and helpful and she escorted me to my apartment and showed me around it. She had kindly bought a loaf of bread, cereal and milk for my use. The reception areas for sales and the main reception area were good sizes, light, bright very clean and totally uncluttered. Shelley then took me to see Sharday the estate manager who was very welcoming and helpful. Nothing was too much trouble and she obviously loved her job. There was a flat owners meeting going on and there were two men from Mc Carthy & Stone answering questions. One was Adrian and the other was John or Peter, I introduced myself and sat listening. There was a coffee machine in the lounge which was there for the residents use as and when and the coffee was delicious- a very nice homely touch. The lounge was very well decorated, furnished, comfortable and with an eye to detail. I found the heating stifling. Somebody had opened a window and others were mopping brows. I also found it very hot in the corridors. I was taken to lunch in the spacious dining room with Peter and Adrian. It was a three course lunch- has to be ordered a couple of days in advance and it was delicious. Very good restaurant quality in my opinion and so cheap I would have lunch there daily. The place was well signposted indoors. I think that there were two more floors with adequate lifts. There were two disabled toilets on the ground floor- I would have thought that it would be cheaper in the long run to install a hot air hand dryer rather than have paper towels which could get stuck in the lavatory and block it if somebody was slightly demented or careless. I returned to my ground floor one bedroom apartment to unpack having brought sufficient for a week! The lounge was long and spacious and like everywhere else had modern furniture, was clean and had been well looked after. The kitchen I thought would be too small for my needs. Every space had been utilised but I would have had to use a mini step ladder to reach some cupboards and I am over 5 foot and 5" . There was insufficient work top surface space for my equipment. There was a slim line dishwasher fitted which I would like but no space for a microwave. One very nice touch was an electronically opened window but the control was too high for a wheelchair user or somebody fairly short in height. Reaching the fridge shelves may also be a problem for somebody short. Each room could be individually controlled for heating temperature and that was a major problem. I was very cold mid afternoon so I enlisted Sharday's help. She put each thermostat up to 30C and found two portable heaters for me. The heating system needs to be looked at because it would cost a lot of money to heat that flat using the present underfloor system as it takes hours to heat up. I was told that it is rarely at the correct temperature and difficult to adjust. A good touch was installing sockets higher up the wall so that one was not grovelling on the floor trying to find a socket. The double bedroom had a walk in wardrobe but there would not be sufficient space for my clothes + bedding, towels etc. The main lounge would have to be utilised for storage. The bathroom was a good size with a walk in shower which was also easily accessible using a wheelchair. There was sufficient space to fit a stool which is what I would normally need. The non slip flooring is the best I have ever come across. The lavatory was too small- people unfortunately are larger nowadays and it was too low. This is a Retirement Plus home and a person with a hip replacement could easily dislocate his/her hip. As everybody is 70+ there except perhaps carers I thought that it would make sense to install a slightly taller lavatory throughout each development- similar to what I have here. I have knee problems and I had mega problems and for that reason I would not entertain living there. Another good touch is having lighting permanently on in the bathroom over the wash hand basin so that falls would be less likely at night. I am not sure if these lights are controllable by the apartment owner. There were no hooks on the bathroom door so I had to place my night attire and dressing gown on the floor. At 5pm Sharday delivered my sandwich supper to pop in the fridge to consume later, introduced the fellow who would be taking over from her and staying overnight in case one needed help. There were call bells in every room and the standard of security was so high I did not double lock and bolt my door as I would do here. I wanted somebody to be able to gain access if I needed help. A GP surgery was moments walk away and it would be easy to post a letter/card as there was a letterbox across the road but the shops for me, a 20/25 minute walk away would be too far. One thing I did like was Sharday, who had only taken up post in January 2018, was getting together practical suggestions for the flat owners eg finding a local mini bus company that will take the flat owners to eg a supermarket weekly so that they can stock up. She was also trying to organise days out- wherever the flat owners wanted to go. It would be their decision, nothing was being imposed. I would prefer a McCarthy stone apartment to be closer to the centre of town and one is being built. I found the staff to be so helpful, nothing was too much trouble. Sharday was off the day I was leaving, Helen took over and she and a fellow came to see me before 10am to ask if I would like a Continental breakfast which I did not. I then told her the approximate time of my departure. A very worthwhile stay but I would certainly keep McCarthy & Stone in mind for Plus apartments if some adjustments were made as mentioned. Pleasant, quiet and I was very well looked after. I would definitely recommend "try before you buy". I didn't participate in this trial but have been visiting various Mccarthy and Stone retirement complexes recently doing talks. I've been very impressed at the quality of the buildings, furniture in public areas etc but, more especially, by the atmosphere. Everyone seems to be be happy. Sounds trite but the 'feel' of where people live matters. The places I visited felt great! Having visited my friend several times now I would agree with much that has been said. The fittings , furnishings etc are very good but to me it is still not like home. I wouldn't say now I would never buy one, I realise they have a very important role to play in an older persons life, and security and the fact that living is easy is vital as we age. I still get the feeling of living in a superior Premier Inn. There is no restaurant where my friend lives and social life is limited but perhaps things being taken out of your hands is paramount. I have not closed my mind although I did when she first moved in, I was premature and unfair as my own situation has changed. Why did you want to take part in this project? What’s your current living arrangement? How old are you? I volunteered to take part in this project because I had seen the North Berwick development being built and was curious to know more. I had also been asked about it by friends who live in England and were considering a move to be closer to children and grandchildren locally. I downsized 6 years ago from a 4 bedroom detached house with a large garden to a 3 bedroom property with a more manageable garden in Gullane, about 3 miles from the McCarthy and Stone development. This currently suits me well, especially as it allows me the space to have visits from family and friends. I am 73 years young, reasonably fit, active both physically and mentally, still involved in research, writing and learning, arranged to fit around a range of leisure interests and volunteering. I visited the Tantallon Court development in North Berwick. I went on my own, arriving on March 16 at 2.30pm as arranged. I met with Sheila MacKay (Sales Executive) and was introduced briefly to Jenny Howie (House Manager). It should be said that the weather was pretty grim: wet and windy. Inside, however, it was warm and welcoming, spotlessly clean, with fresh flowers in the entrance area. Sheila was an excellent host and provided a good guided tour of the development, responding to all of my questions both on arrival and before departure the following morning. The guest suite is on the second floor, with a view to the Law. It consists of a hallway leading on the left to the bedroom, which has a walk-in clothes cupboard; shower room with basin, toilet and shower; and on the right past a cupboard for electricity meter etc. and additional storage into the living room, which is equipped with comfortable seating, coffee table, TV, dining area with table and chairs; and finally the kitchen, complete with fridge/freezer, oven, hob, microwave and washer dryer. Given the lack of space, I appreciate the choice of a washer dryer. However, I’m not a fan of these for ‘green’ reasons. There was no dishwasher but Sheila pointed out that a small machine could be accommodated by either sacrificing a cupboard or space on the work surface. A nice touch was the fact that sockets were higher up the wall rather than at floor level. Overall, I found the flat to be well furnished and equipped, perfectly adequate for a short stay. The soundproofing was good. Despite the volume of traffic on the roads and roundabout, there was no noise in the apartment. Sheila commented that there was concrete flooring, which helped to minimise any noise. With regard to the development as a whole, this was opened in June 2017 so everything is fresh and new: carpets, lighting, pictures on the walls, long corridors with seating areas, all empty, numbered doors leading to flats. For me it was all a bit bland, anonymous and hotel like - with one exception, where the occupant had put up a decorative hanging by the door. This may of course change with time, as more people move in and add personal touches. There are 24 one bedroom and 17 two bedroom apartments. Sales have not been brisk and a lot of properties are as yet unsold. The entrance hall leads to the Homeowners’ lounge. There is a small kitchen on the left before the lounge, with a kettle, fridge etc. ; also a notice board with details of activities: Wednesday film evenings, Thursday coffee mornings and Yoga classes. The lounge itself was comfortably furnished, but empty. I spent much of the evening there reading, but no one else put in an appearance. There were signs of use: e.g. a jigsaw was under construction; just not on the evening I was there. As a keen gardener, I was interested in the communal gardens but found these to be quite limited in size and scope. I would miss mine and the opportunities it provides for pottering and passing the time of day with neighbours etc. There are two beautifully crafted benches to the left of the front entrance. Given their proximity to the roundabout however, I don’t imagine that anyone would wish to sit out there for long. I asked about provision for wheelchair users and was told that all the properties were wheelchair friendly. Also, that there was a storage room on the ground floor to accommodate items like mobility scooters, bicycles etc. I met only briefly with the House Manager so can’t really comment, apart from saying as I have above, that everything looked clean and welcoming. One thing I did ask Sheila about was the presence of a defibrillator in the kitchen area: specifically, if home owners were trained in its use. (Wearing my volunteer hat, I’ve undergone this training myself.) I was quite surprised to be told that only the House manager could use it. The manager is contracted for a 30 hour working week, Monday to Friday, between the hours of 9.30a.m and 3.30p.m. Otherwise, there is a 24 hour Emergency Monitoring service (Tunstall facility) which holds residents’ details on file. Given the need to respond quickly in an emergency, I found the lack of defibrillator training difficult to understand. The brochure describes the development as “retirement living in the heart of the community”. However, as the publicity materials point out, the High Street is 13 minutes away by bus, so not exactly central. There is a bus stop nearby. Walking into town is easy, downhill all the way. Walking back, uphill, especially if carrying any shopping etc., would be less so. Also, while the property does have a view towards Berwick Law, the main outlook to the front is of the roundabout and the ALDI carpark. The roundabout is also quite busy: one exit takes you into town, past the ALDI store; the second past a Business Park , workshops and a graveyard to a TESCO store and petrol station; while the third leads to the local Household Refuse Disposal site. Yes thanks, it was perfectly adequate for an overnight stay. Milk, juice and fruit were provided in the fridge, along with biscuits, tea and coffee making facilities, all much appreciated. As indicated above, it’s compact and has everything necessary for a short stay. It wouldn’t suit me though. I have a large library of books; large desk with computer, printer etc. ; quantity of photographic and other leisure equipment. I enjoy entertaining. I also enjoy living in an all age community, with older people, younger children and all ages in between. And I value my space. I was sorry not to have an opportunity to meet current home owners and hear about their experiences of living there. I did have a chat with one woman as I was leaving. She had just come in with a small dog on a lead and, as I had been told that pets were welcome, I commented about how pleased she must be that her dog was welcome there. She replied that, while she had been told that dogs were allowed in the residents’ lounge, provided they were well behaved and on a lead, when she had taken her dog into the lounge, on a lead, she had been informed by another resident that this was not the case. It may be that this was an isolated incident/misunderstanding (I didn’t probe) or it may be that there is a lack of clarity on this issue? The service charges seem quite high at £36.80 a week for a 1 bedroom apartment and £55.20 for a 2 bedroom apartment. Add to this the costs of Council Tax, Electricity, TV License, Contents insurance, any maintenance specifically relating to your apartment. And, if you have a car, there is a permit fee of £250 per annum. That said, car parking and rent of the guest suite(£25 a night) is calculated as income and used to reduce the total service charge, if only by a relatively minor amount, given the overall budget. I have friends who live in Retirement Villages in this country and abroad (Australia) and love the way of life. Given a choice, I’d prefer that kind of provision to this. A particular concern relates to what happens if/when an individual becomes physically or mentally unable to continue independent living in a development such as this and is then faced with the upheaval of having to sell up and move again to a facility offering greater support. I do have friends who might like this kind of development and will happily recommend if they ask and it seems appropriate. - Finally, my visit provided me with only a brief snapshot, from 2.30pm one day to 11.00am the next. If there are errors or misunderstandings in what I’ve written, they are all mine and I stand to be corrected. I was very struck by the social aspect of the places I've visited. Obviously they're pretty pro active socially and my talks were part of a very varied social programme. Maybe a lot depends on the particular residents? I can imagine there's lots of scope for gossiping and cliques forming as well as friendships developing and people helping each other etc. Sounds a bit like real life! We were greeted by Emma and taken to the large, comfortable lounge, with lovely terrace outside. Here we met other homeowners who were very friendly and enthusiastic about their new home. The site had only been open for a few months. We then had a tour of all the options available. Apartments are on 4 floor floors and offer a combination of 1 and 2 bedrooms. All are finished to a high standard,well decorated, neutral decor and carpets. Kitchens fully fitted, although most very small. Bathrooms/ W suites were all wet rooms and easy to get around, with handrails in the shower areas . 2 lifts were available, although one out of action on the day we visited- would this be enough to service up to 30 apartments. We were then taken to our apartment for the night. On the ground floor, 2 bedrooms and bathrooms. Quite snug but comfortable. It was furnished ‘show Home’ style— it looked lovely but not the most comfortable— note— the beds were very uncomfortable!! Having left bags in the room, we set of to explore Taunton. Walking seemed the easiest option and it was a comfortable 20 minute walk to the town centre. A lovely little town- all the usual high street shops but with plenty of small independent shops, bars, restaurants. I've just got back from my overnight stay at Lonsdale Park in Oakham, Rutland. Oakham itself has a small market town feel; mostly individual shops, a library, sports centre and, importantly for me, a railway station. Access to countryside walks especially around Rutland Water. A good place to retire to. The development is five minutes walk from the town centre, so well positioned. It's a very attractive building and outside area. We were made very welcome. The house manager and sales staff are lovely. The room sizes. The living rooms and bedrooms felt very spacious. The underfloor heating. Cosy and no ugly radiators. The walk-in laundry/ utility cupboard. Lots of storage space. The balconys/patios to most of the apartments. The high quality finish throughout. The security aspect. Actually one of the residents was taken ill as I arrived and seeing how the house manager dealt with this was very comforting. The friendly community that already exists in this new development. One resident gave me an excellent recommendation for a local restaurant. Another gave me a hand with my crossword. But still plenty of privacy. The residents lounge (beautifully decorated) and the plentiful outside seating areas. The kitchen! It is small but that needn't be a problem. But oh it could have been so much better designed. Everything you need is there but it could be so much better with a little thought and imagination. A trip to IKEA? To see how well a small space can be used. Truthfully I would probably have to take most of it out and start again if I bought an apartment. I really hope McCarthy and Stone take this comment on board. I'm going to be making a move in the next few months and this visit has certainly given me food for thought as to whether a development like this should be my next (final?) move. There is a new development planned for my absolutely perfect location so I'm waiting on that! Swift House is a Retirement Living Plus development situated close to the town centre of Maidenhead. My DH (70) and I (68) already live in an apartment but we were interested in visiting Swift House to find out more about the additional facilities this development offers. These facilities include 24 hour on-site management, an Estates Manager, Personal care packages, domestic assistance, Homeowners Lounge and Bistro-style restaurant, guest suite, lifts and mobility scooter store. We arrived at Swift House around 11am and were given a warm welcome by Jackie Chicken Sales Executive and Jacob Lowe the Estate Manager. The development is light and spacious, nicely set out around landscaped gardens, with paved footpaths and outdoor seating areas. There are around 60 one and two bedroom apartments of which 60% have currently been sold. There are a limited number of parking spaces available for purchase by residents on a first come first served basis but I’m not sure how people will manage when the available spaces have all been sold. We were allocated a one bedroom apartment on the second floor for our overnight stay and we were very impressed with the layout and décor. The large hall had doors leading to the bathroom, bedroom and lounge also to a cupboard containing a water tank, shelving and storage space. The lounge was a reasonable size, nicely furnished with dining table and 4 chairs, a large sofa and chairs, coffee tables and television table. There is a camera entry system linked to the TV which means residents can see who is calling before allowing people access to the building. Leading off the lounge is a well equipped kitchen with large fridge/freezer, built-in microwave and oven, hob and extractor, sink unit and various floor and wall cupboards. The bedroom is a generous size with a walk in wardrobe equipped with hanging rails and shelving unit. The bathroom is spacious and nicely finished wet room style with walk in shower. All the doors in the apartment are wide (for wheelchair access) and give the place a nice open feeling. The underfloor heating worked slightly too well as it was rather warm everywhere but there was a separate thermostat in every room so I expect given time a reasonable temperature could be established. In addition there is a 24 hour emergency call system with residents having pull cords throughout the apartment and a personal pendant. Residents get 1 hour a week domestic assistance included in the service charge but can purchase additional hours if required. This could be more domestic help, personal care services or lifestyle services, all provided by staff on site. Having unpacked, we were shown around the rest of the development. Firstly we visited the Wellness Centre where residents can have their hair done, manicure and the chiropodist also visits. Next door was the laundry room housing 7 washing machines and 5 dryers, ironing board and iron for use of the residents and cleaning staff. The mobility scooter room has direct access to the outside and numerous charging points for mobility scooters. The Homeowners' lounge was a lovely room with comfortable seating overlooking the gardens and at the rear of the development next to the main entrance and has free tea and coffee available all day. The other side of the main entrance is the Bistro-style restaurant, a large open dining area where residents can either pre order the chefs specials in advance or choose from the extensive Al a Carte menu. Residents can eat here from a very reasonable £2.80 for one course to £3.80 for 3 courses. After spending some time looking over the rest of the development and gardens, we joined some of the residents in the Bistro for lunch. Lunch was very good, homemade soup, followed by a lovely steak and kidney pudding and vegetables. For dessert we had ice cream although crumble and custard was available. After lunch we went to the local park just a couple of minutes walk from the development and through the park to the main Maidenhead shopping centre the other side. In the evening, residents were holding a wine and cheese evening to which we were kindly invited. The event took place in the Homeowners lounge and was very well attended. We had the opportunity to chat with many of the residents who made us most welcome and all seemed very happy with their decision to move to Swift House. All in all, we very much enjoyed our stay and all the staff and residents we met were very friendly and welcoming. There seemed to be a real sense of community already and residents have set up film nights and other community activities. Whilst health wise we don’t currently need the Personal care packages, domestic assistance and 24 emergency call system or the mobility scooter store, we would most certainly be happy to move to this development (or one like it) in the future should the circumstances arise and would not hesitate to recommend the development to anyone. We had a lovely welcome everyone friendly staff and residents absolutely lovely ambience. Shown to our lovely apartment which was so lovely after freshening up Colette WC lovely Sales lady came and took us down to lunch we sat with 2 other residents. The Lady had been their first resident and the gentleman had been there for only 4 weeks both loved it very much and had lots kind words to say not a bad word to say on WC after lunch ( by the way the 3 course meal was absolutely delicious )we retired to the lovely residents lounge for coffee and chatting to other residents... All seemed so happy there ....we then in the afternoon had s very nice welsh Lady in to sing us all a few tunes which was very enjoyable then to follow was a glass presecco and lovely nibbles. Then Colette took us on a tour of the building other apartments and the fabulous roof top solarium with lovely views of Morecambe Bay where many functions were held summer BBQ.....watching fireworks displays st Lancaster Castle. Some of the apartments we were shown absolutely inviting . So then took a short bus ride into town had a nice walk around trying to walk of that lovely lunch from WC restaurant ! We then had a relaxing evening enjoying our lovely apartment I must say what a very comfortable bed did not want to rise next morning at all........ the walk in wet room very spacious after breakfast we visited the nearby Williamson Park which was so lovely with the Ashton memorial and butterfly house. Nice cup tea in the cafe then back to WC for our lunch very enjoyable we sat with another lady resident and she also expressed how helpful everyone had been from before moving in. To the actual move and so continues after.. .. Its nice to be still independent but also good to know there's help 24/7 if needed we would certainly recommend anyone to consider moving into as McCarty &Stone apartments I myself would move in tomorrow I just have to work on my husband. ....its definitely on my bucket list !! Nobody seems to have mentioned the problem of reselling these properties . I believe that the builders take a cut of the sale price and , if you are in an older property, people tend to look elsewhere at new ones . I know two people who have bought and regretted buying . @Floradora9 - McCarthy & Stone have asked us to pass on the following: “While the value of retirement housing is more than simply financial, the majority of our properties sell for more than they were bought for. However, as with any property the value is affected by the local market which will go up and down. McCarthy & Stone has introduced a new in-house service to provide specialist support to homeowners who wish to sell their apartment. They are there to help homeowners throughout the process, so they can sell their apartment quickly, and for the best price. Just a little side issue here on the financial aspect. A neighbour of mine, I didn't know her well apart from Good morning etc, wanted to sell and move quickly when her husband died last summer. She saw a M&S apartment and we understand that they either part exchanged or bought her house. I suppose she got below market value but it all went through very quickly. Just bookmarking, need to copy and paste my review. I've just enjoyed an overnight stay in a McCarthy and Stone Retirement Living Plus development, Bilberry Place in Bromsgrove. I went as a Gransnet tester and there was NO pressure to buy or sales spiel whatsoever. Extras on offer include help with downsizing such as removal, and disposal of surplus furniture. I think those moving in would have to make some thoughtful decisions regarding how much of their current possessions they really needed to keep with them. But, of course, that's what downsizing is about. I saw 1 and 2 bedroom apartments both furnished and unfurnished. I thought them spacious and well equipped. There is a wet room with basin and loo and a separate loo with basin. All internal doors are wide enough for wheelchairs, there is a large storage cupboard in the hallway, other cupboards and also a built in wardrobe in the bedroom. The fully fitted kitchen was practical and had plenty of cupboards, some shelves were out of reach for 4'10''' me but I use a stool for higher cupboards in my own kitchen anyway! There is room to have a dishwasher fitted if required. Although it would be possible to be completely selfcatering there is an onsite restaurant where I enjoyed a substantial and well cooked three course lunch. The menu provided a good choice of alternatives for each course. Happily all electrical sockets were about waist height - no more scrabbling at floor level to plug in the vacuum cleaner! Key light switches are illuminated which is useful at night. The doors to the wide carpeted corridors are normally light enough to push easily but should there be a fire alarm become heavy. Don't ask me how this magic is achieved! One hour's domestic help a week is included in the package, it can be used for cleaning or other tasks such as ironing. Every apartment has a spacious balcony with room for both garden furniture and container gardening. Some overlook playing fields, others a park. Nearby facilities include a library, doctor's and dentist's surgeries, and a pharmacy. Within a few minutes walk is a bus station, a large supermarket and a church. The main shopping area is also close but the railway station is 2 miles away. I had a taxi and the driver spoke very well of Bilberry Place and said the residents he'd met were very happy there. The large comfortable lounge is available all day with tea and coffee making facilities and biscuits. The gardens would have been pleasant had it not been pouring with rain. Although the residents keep busy with their own lives and activities, one gentleman being at a local gym and pool at 6.30 most mornings, there are opportunities to join in activities in the lounge too. Recent films are shown, groups listen to music together, play bridge or other games and there was a jigsaw out on a side table. Organised outings included a dinner cruise on the River Severn, a trip to Hereford and the Cathedral, and a coach to see a musical. The general ambience was relaxed and friendly. I spoke to several residents who were happy with both their apartments and the facilities. There are always staff on duty whom I found to be courteous, cheerful and unstressed. In short I honestly feel I've had a pre-Easter minibreak in a luxurious hotel where I chatted to some very active and friendly over 70s. Would I be willing to move in? Most probably, but not yet! I wrote my review on the day I returned from my one night stay, Good Friday 30/04/18 but posted it on the wrong thread, that's why there is some possibility of confusion re dates. This project sounded like a good opportunity to find out what it would be like to stay in a retirement flat. We had previously viewed another development in St Andrews and we thought that it would be an interesting comparison . We currently live in a substantial detached property with a marvellous river and city view . My husband is 67 and I am 68 and we have been considering down sizing. We visited the McCarthy and Stone development in Anstruther which is roughly an hour's drive away from Dundee , and is a former fishing village in the picturesque East Neuk of Fife and one of our favourite haunts. The development is well situated on the main road with a bus stop right outside which is most handy. There is a large car park behind the property . Although it was a cold grey spring day, the welcome which we received was very warm and friendly. Susan Doe the sales manager had arranged for us to meet with two of the residents and she left us with coffee and cream cakes so that we could have a good chat. Later she returned and showed us to the one bedroom flat where we would be staying . The flat was beautifully furnished and a continental breakfast was provided . Much thought had been put in to ensure that our stay was first class . Susan showed us round the development and we viewed five of the two bedroomed flats . The large communal residential lounge was beautifully appointed but the main selling point was a spectacular communal sun lounge which fronted onto a seaview. As I mentioned earlier we are fond of a watery view! The one bedroom flat, we found to be cosy and very comfortable for a one night stay but a larger apartment would be necessary for long term use. I liked the fact that all two bedroom apartments had an ensuite as well as a visitor toilet and shower. The cupboard and wardrobe storage in the two bedroom apartments was better than the other development but we still have a massive amount of clearance to do before we could fit in there. We also liked the fact that most of the kitchens were separate from the lounges rather than an open plan design. A lot of effort has been taken to ensure that there are social activities which residents can become involved in if they choose. When we left the following morning there was a keep fit class starting in the lounge. Overall a friendly ethos pervades. We are both very tempted by what we experienced but perhaps it is too soon for us to make such a move. Anstruther is a lovely place to visit for a holiday but perhaps it is a bit remote for this city kid! It has definitely made me think about the future and we thank the staff for making our stay so friendly and comfortable. We really liked the ethos and would certainly consider McCarthy & Stone in the future. This has made very interesting reading and most has confirmed our own thoughts, although unfortunately we were unable to secure an Apartment of choice........or indeed any other from the relative new McCarthy & Stone development here in West Wales,the first of its kind. As we were approaching our mid 70`s and health diminishing, plus no family back up to offer any kind of help later in life, we realised this kind of Retirement Apartment living would indeed be just up our street. Sadly, our County offered none and there were very few within a certain perimeter, so we started looking further afield,amassing heaps of brochures of various Retirement Villages etc.All seemed to be generally far too expensive for our pocket...... although seemed to be just the ticket. Then one day news came that McCarthy & Stone had bought a site overlooking the beautiful bay in our favourite little town. We just could not believe it, and felt so strongly this indeed was a prayer answered. In fact we were the first or second to sign in our interest and we quickly got our own place in order and on the Market. We followed the build progress at least monthly,taking pictures throughout,amazed at the structure because it was being built so near to a cliff edge,yet no corners were being cut, it was obvious to see the quality all along. We went along to their initial opening day,about 5/6 months prior to the finish and signed up immediately, using the off plan to choose the Apartment .....a two bedder with two baths on the first floor, and all french style windows overlooking this spectacular view. Sadly, as the months ticked by we could not find a buyer for our property, and so we went ahead with the option they offer........ whereupon one can buy through a part exchange system. We went through the various stages and it was quite laborious only to find the sum offered far below the valuation given us by two other reputable local Estate Agents,and on failing to secure a deal this way, we simply held on, hoping we could sell ourselves in time for the opening. Our Apartment being reserved was of course very re assuring. Imagine our great disappointment ..........and immense hurt.......on the eventual opening day to find our very own Apartment with a Sold sticker on its window.We were given to understand initially, this was because it was reserved for us. However with some unrest deep within and some inner searching, we found out that in fact, it actually had been sold,but no one..........especially the young resident Sales Lady of that time..........had thought fit to actually tell us so. It was heart breaking to say the least. However with their prices rather high for this area, despite the quality of site,build and interior it took a long time to eventually sell all some 40+ Apartments. We continued visiting from time to time,finding the place warm,inviting and beautifully welcoming, much as most of you have remarked upon,the Apartments in general were beautiful, although sadly,mainly due to the nature and design passed by the Council in this town, some of the windows were very small ........and yet looked out upon this stunning view. Were you sitting down for instance you could not enjoy the view. We found a few of the ever changing sales Staff very kind and helpful, whilst knowing our story and our wish to purchase one of these apartments, they really tried hard to get the figures to meet........ but the sore fact was,we just could not sell our own property, which of course was essential for the purchase. Eventually came the day of reckoning when we knew we had lost out. Then fairly recently we actually sold our property and at a price almost £100,000 MORE than we had been offered by their part exchange method, so we had been right to hold out. However with health problems escalating and our big 80 birthdays not that far away, we are still in that same desperate and needy position. One of these apartments came back on the market and as we put in an offer for same (although we knew it to be inferior to the one we had first chosen, as it had but 1 bath and those poky little windows!! )But the point being we love the warm family feeling created within doors,the safety aspect offered,the fact of no maintenance again and all amenities close at hand,all on level ground..........whilst the Apartments had storage for Mobility Scooters and safe underground parking for those lucky enough to have rented one............and of course it was in our favourite town,adjacent to the home we had loved for some 25 years. Sadly,very sadly once again it was not to be,we were thwarted by another would be purchaser beating us to the purchase. So ours is a story with mixed feelings, however let me add were we offered another Apartment in this block...........or indeed anywhere close by by McCarthy & Stone, we would jump at the oppertunity. Yes we know there are pitfalls like everything else in life,those service Charges are high as one example only...........but the thought of the freedom of mind, safety,comfort and ambience offered in older or failing years surpasses all. Panache - I sympathise with your setbacks, so frustrating. However your determination to acquire a McC & S apartment is testimony to their quality. Sad that some of the sales staff weren't as efficient as expected. Cousins used the part exchange plan to downsize and move. The first price offered was ludicrously low and they were disappointed that it was not going to be possible but the offer was upped to the figure that the cousins had worked out as the least they could afford to take. Their house was resold within a week of their moving out. The cousins were sanguine about it as they received such a lot of help to actually move including getting rid of surplus furniture and the M&S staff were so kind, helpful and efficient. They were not to know that sadly the wife would die within 6 months of moving but it has proved to be such a blessing that the husband has everything in place to be safe and secure with people around him and such helpful staff on site. My husband I visited Keatley Place in Moreton in Marsh. It is only one hours drive from where we currently live. The 2 bedroomed apartment was the one we both liked the best. It had a lovely communal lounge which only one person was in for the whole time of our stay. The development was situated a short walk away from the High Street/Town so we walked and it happened that the market was on that day. I was very surprised with the experience and think in the future that we may move as the garden will get harder each year to manage as my husband is slightly older than myself. The location is only one hour's drive away from our children visiting. We were given a continental breakfast the next morning which we made ourselves in the communal lounge. All in all a very enjoyable experience. I would recommend McCarthy and Stone to friends and know of one elderly gentleman, a friend of my mother in law who moved to one in the north at Glossop I think it was and he is very happy and they have a guest room there. I have mentioned it to my friend in Wetherby as her mother is finding it hard to manage her property in Cheshire now, and sent her information about a development over in Wilmslow. Thankyou. "We're really sorry to hear about your experience - thank you for bringing this to our attention. We'd like to get in touch and put you in contact with the Sales Director. We hope that we can work to find a solution you will be happy with, and restore your faith again in McCarthy & Stone. You should have received a message from Gransnet with more details"
My initial impression of this thread, though I have only at present skimmed it and need to read it more thoroughly, is that, apart from one poster, there doesn't appear to be a great deal of coverage of the ongoing charges. There is also no indication of how much these properties actually cost and whether there are any initial administration or other charges that would not normally be found in a non-retirement flat purchase. Were the properties that were "road tested" newly built/reserved specifically for marketing purposes? I don't know if this is the case with McCarthy & Stone but I have heard concerns that there are various additional charges levied at different stages. I have also heard that these properties are quite difficult to sell on. And, should an owner no longer be able to reside in the property through ill health, I have heard that some companies do not allow properties to be rented out if a realistic sale price cannot be secured. All these issues are every bit as important as the attractiveness and convenience of the property. I would be wary of any part exchange schemes and I hope that anyone buying such a property gets proper advice as to whether there are any out of the ordinary ongoing financial commitments or penalties.